The United Nations has called the states to fight “a global and unprecedented threat to international peace and security” which is Islamic State (IS, ISIS/ISIL, Da’esh). 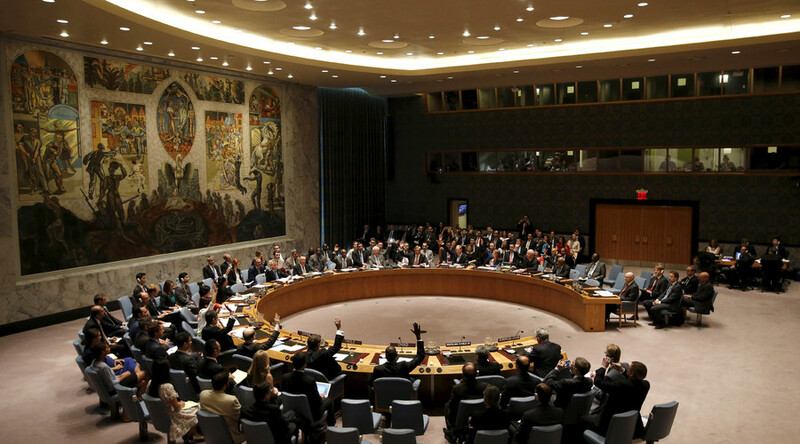 All 15 members of the UN Security Council voted to adopt the French-proposed resolution. IS “constitutes a global and unprecedented threat to international peace and security,” the resolution says. Russia has repeatedly called for action to cut the terrorists’ financial lifelines, with President Vladimir Putin revealing on Monday that IS is receiving funding from 40 countries. Meanwhile, Russia is continuing its work on a draft resolution proposing international military campaigns to fight against Islamic State. The current text is an updated version of a document submitted on September 30. The text, submitted on November 18, stresses the need to coordinate military actions with the governments of the countries where the anti-terror operations are being conducted. Russia’s Ambassador to the UN, Vitaly Churkin, said that Moscow is working towards having the draft resolution passed soon. Churkin also stressed that it is shortsighted of some UNSC members to try to block Russia’s draft resolution on fighting terrorism. “We believe the attempts by several members of the UN Security Council to block our work on the project is politically shortsighted. You can fight terrorism with one hand and with the other practically play along with them,” Churkin said. After the vote, Churkin also added that the French delegates included “important corrections introduced by Russia” into the resolution.